The software underlying both Philosource and Philospace will be based on the extension and adaptation of two Open Source applications, Talia and Dbin. Talia is an open-source, web-based, distributed digital library and publishing system, designed specifically for humanities research. Talia is strictly based on standard Semantic Web technologies and developed within the Ruby on Rails web framework. Philospace is an application based on Dbin, that runs on a local machine and is connected to other machines via a peer-to-peer network. It will function as a personal workspace for academic research. Through Philospace, users can add comments to documents (or parts of documents) and establish semantic relationships between philosophical concepts. This information can be kept locally, for personal use only, or shared with other Philospace users. 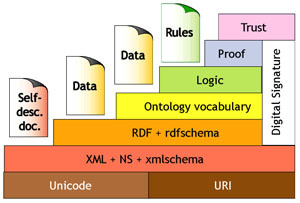 In Philospace, similar to what happens in Talia, knowledge is expressed using Semantic Web standard languages, fostering data interoperability between the two platforms and even with external applications. (The latest version of the Philospace software can be downloaded here: http://www.dbin.org/swickynotes/philospace/). An organizational infrastructure will be established in collaboration with the COST Action A32 (“Open Scholarly Communities on the Web”) to sustain the project after the end of the EU founding period by attracting other organizations to join and support the initiative. For this reason, workshop and training courses will be organized during the course of the project to involve not only project partners, but the scholarly community in general and various stakeholders.